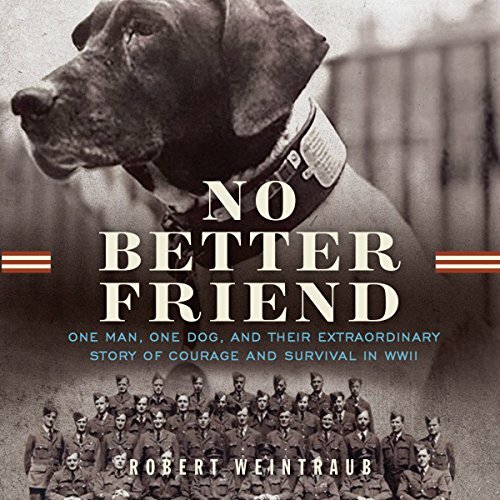 The extraordinary tale of survival and friendship between a man and a dog in war. Flight technician Frank Williams and Judy, a purebred pointer, met in the most unlikely of places: a World War II internment camp in the Pacific. Judy was a fiercely loyal dog, with a keen sense for who was friend and who was foe, and the pair's relationship deepened throughout their captivity. When the prisoners suffered beatings, Judy would repeatedly risk her life to intervene. She survived bombings and other near-death experiences and became a beacon not only for Frank but for all the men, who saw in her survival a flicker of hope for their own. Judy's devotion to those she was interned with was matched by their love for her, which helped keep the men and their dog alive despite the ever-present threat of death by disease or the rifles of the guards. At one point, deep in despair and starvation, Frank contemplated killing himself and the dog to prevent either from watching the other die. But both were rescued, and Judy spent the rest of her life with Frank. She became the war's only official canine POW, and after she died at age 14, Frank couldn't bring himself to ever have another dog. Their story - of an unbreakable bond forged in the worst circumstances - is one of the great undiscovered sagas of World War II.